....and a whole lotta other stuff too! I think this post will be best served by bullet points (and how convenient, I LOVE using bullet points). -Came home from work to find that Forrest was home early as well! Hooray! We both fell asleep on the couch and I woke up with a MASSIVE headache. After a little more R and R, we decided to run some errands together since we almost never get to do that. Probably the most fun part of our trip was our incredible deals at TJMaxx. I may have just converted Forrest into a Maxxinista! -Swung by the Redbox to pick up a movie on the way home. LOVE nights in!! -Watched Lincoln Lawyer and of course I critiqued the legal aspects of the movie and how "this would never happen in real life, or at least in our county" but I actually LOVED it. Matthew McConaughey is probably the best lawyer of all time, if you ask me. Of course, I had trouble falling asleep that night due to the movie, but what else is new. HIGHLY recommend it if you haven't seen it! -Forrest woke up at the crack of dawn to ride with Davis into Georgia. Yes, that makes me hurt a little at the thought of it but the totally love it. They have lunch once they get there and then head back. It is a nice little morning. -Me? I sleep until Stella climbs on the bed demanding to be scratched. I manage to get the dishwasher unloaded and reloaded with our breakfast for dinner dishes, a load of laundry folded and put away, AND a movie watched (It's Complicated--which also was adorable and you must rush out and rent immediately). 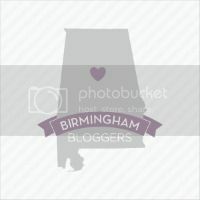 -Headed out to Bham to go bridesmaids dress shopping with Ellen at Bella Bridesmaid, which happens to be the amazing store where I found my bridesmaids dresses. -Found totally adorable dress that we all loved (Ellen, her mom, other bmaids Jordan and Kelley). I won't post a pic, but the color is "riviera blue" and simply fantastic! It will be SO elegant! We celebrated with cupcakes that Ellen picked up for us at dreamcakes. De-lish. -Changed quickly at my grandparent's house and then headed to meet my awesome date Randi at our sorority sister Ashley's wedding. Ashley was in the first group of girls I rushed as Rush Chair and Randi was their New Member Educator so we felt really close to their class. It was a lovely wedding!! -The reception was at The Club, one of my most favorite reception spots due to the impressive view over Birmingham. I had so much fun catching up with the AOII girls and spending time with Randi and Ellen. PLUS, they had incredible food, including lobster macaroni. Need I go on??? All the AOII's and the newly weds. Congrats Ashely and Cliff! -Since Forrest is studying for the boards, we decided to go to early church to give him a full day to study rather than breaking it up into smaller chunks of time. On the way home we got a call from a lady saying "I have your dog". UH-OH. Apparently this sweet lady had been walking and Sonny was out in the yard (my bad, I didn't put him in his fence) and he and Libby, his chocolate Lab girlfriend, decided to follow her back home, which, I might add, was not that close to our house. Thankfully she called the number on his micro chip tag and they directed her to us (apparently he lost the tag with his personal info on it, so I will be reordering this afternoon). We picked him and Libby up at her house and there they sat, just as happy as they could be, in her back fence. I felt like we were picking up our child from jail or something. It was too funny! -While poor Forrest studied the day away, I went back to sleep! Too much drama for me for one morning! Afterwards we had a delightful pizza in bed (I refused to get up). 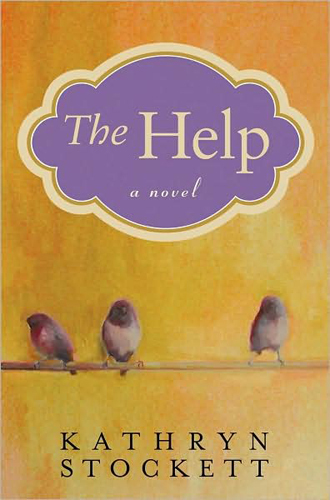 -After my Sunday errands I went with Farrah, her mom, and Kelly B and Kelly C to see The Help. OMG--BEST movie I have seen in a LONG time, probably since the Blindside. It was almost exactly on point with the book which surprised me. Our book club actually read this book before me, Kelly B, or Farrah was in it, but we all managed to read it anyway and may I just say, it is totally worth your time! -As usual, dinner at Mom and Dads, this week, complete with lots of fresh veggies and steaks. Mmm mmm good!